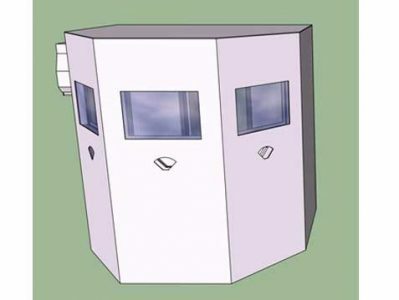 Remagen’s Relocatable Entry Control Points (RECP) or Relocatable Defensive Fighting Positions (RDFP) are low cost military grade Rigid Wall Relocatable Shelters (RWRS) configured as light weight expeditionary tactical shelters for various applications within contingency basing areas such as Combat Outposts (COP) and Patrol Bases (PB) as well as other national security facilities. 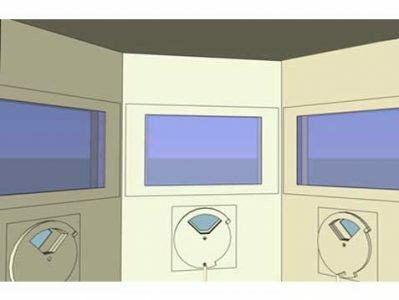 Innovative, non-combustible thin inertial blast walls (TIBW), windows, and gun ports provide a high degree of protection from vehicle-borne improvised explosive devices and terminal ballistics challenges, indirect fire, contact explosive devices, CBRN agents, and extreme weather and environmental conditions on all exterior surfaces. 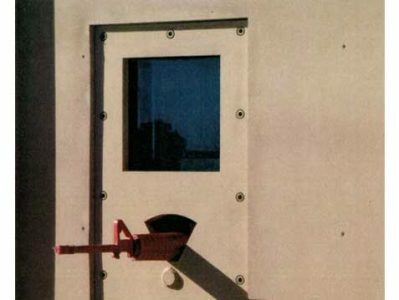 Operable gun ports and blast/ballistics-resistant windows are located on 120 degree faceted walls on the front, side, and rear of the RECP. 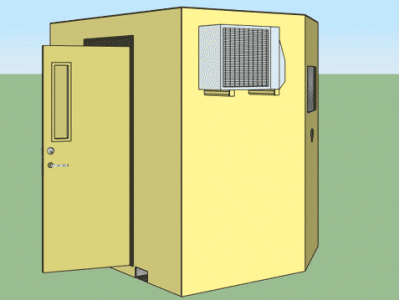 Successive Relocatable Entry Control Points (RECP) can provide a layered approach to control, monitor, and protect access to critical tactical facilities or other operational facilities requiring Anti-Terrorism/Force Protection (AT/FP) systems. RECP’s are designed to meet JOCOTAS criteria, are easily loaded/unloaded by lift trucks, and transported by truck in fully operational mode. RECP’s feature protected external electrical power supply, outlets, light fixtures, antenna, and air conditioning connections. Operable gun port and window provide more than 120 degree operational fan Providing overlapping vision and fields of fire.